We all want our mailing list to be full of avid readers who are interested in what we have to say and what we have to promote. So how do we attract the right readers? How do we get the people who are reading our posts to sign up to our newsletter? First of all remember this relies on getting traffic to our blog in the first place (but that is a whole different issue). Write good content on a regular basis geared to that reader. Ask permission to send content to people’s emails. This could be an opt-in form on your blog. Try different places and if the sidebar opt-in does not work try one at the top of your page or on your about page etc. Promote your newsletter through your social networks i.e. twitter, facebook etc. Use a Facebook newsletter signup. Offer a free item for people who subscribe to your list - it could be a free guide, resource, or template that solves a problem. 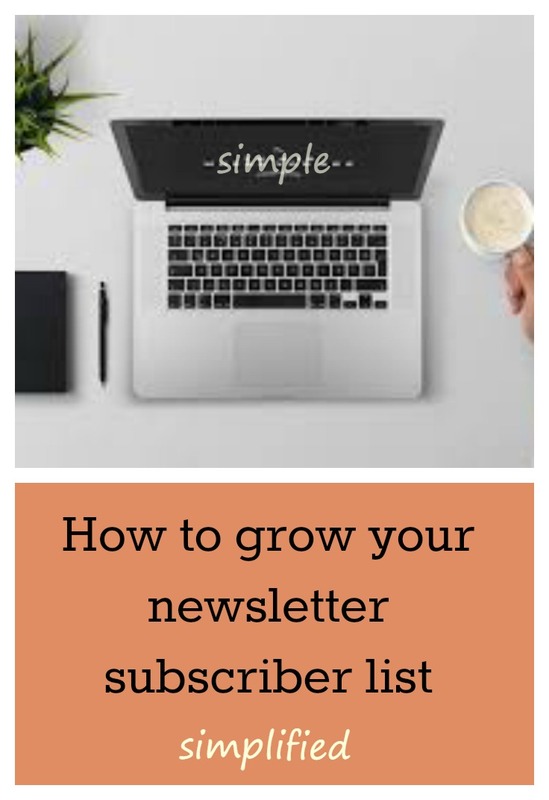 Place a postscript at the bottom of your most popular posts that invites people to sign up to your newsletter if they enjoyed your post. Hold a contest or a giveaway that people join in by leaving their email. Provide a series of articles or videos and ask for an email address after the first post to unlock the rest. Try different approaches and test which works best. We'd love to hear what has worked well for you in growing your email list, so please let us know in the comment section. I often wonder if we remember we are to provide 'something' for the reader. I am of course a fan of the, once in awhile, 'getting to know you' posts... but even an opinion post can be a method for teaching. A few 'reveals' and a reader will know, and be able to align themselves with the writer. I worry that I do this too much, over share. The day I quit blogging to reach others is the day I better quit. Hmmm. Kim, you are so good at sharing yourself and connecting with your readers - This is what you excel at. Thanks so much for sharing your gems of wisdom here and happy blogging and connecting with others. That's what people with chronic illness need - connection with people who understand.